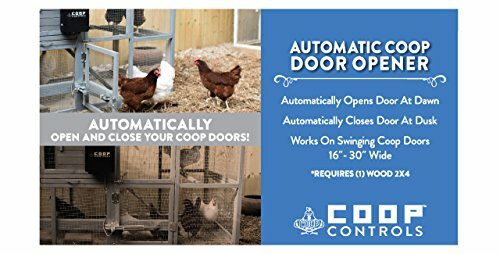 Coop Controls has pioneered a convenient, reliable automatic coop door opener kit that lets anyone own free range backyard chickens without disrupting their lifestyle. 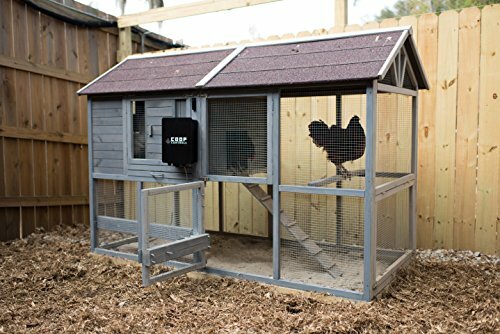 The kit is adaptable to swing-type doors found on most commercially manufactured chicken coops. The system includes an integrated photo sensor that triggers the system to open the door at sunrise and close the door at sunset. 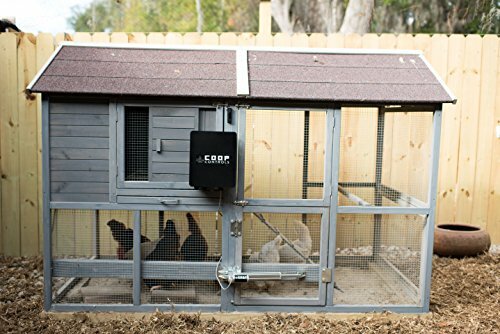 Our Coop Controls kit seamlessly installs onto most chicken coops, no need to replace your existing door or refurbish the coops main structure to automate the door operation. 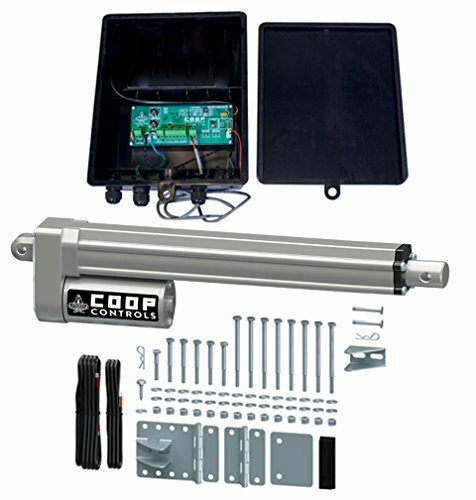 The system includes system control box with control board, operator arm, patent-pending rear mounting hinge, replacement top hinge, mounting hardware, pushbutton with wire, and installation/owners manual.